There is nothing quite like a long and relaxing weekend at home after a tiring and stressful week at work. The sun is shining, the kids aren’t at school, and you quite fancy a big fat juicy burger… I know what you are thinking, let’s slap on the barbie and crack open a few bevys! I think we can all agree when I say that BBQ’s are the official taste of summer! Summer isn’t quite complete without a small or large gathering of your close friends and loved ones, talking, laughing and munching over a mouth-wateringly garden BBQ. 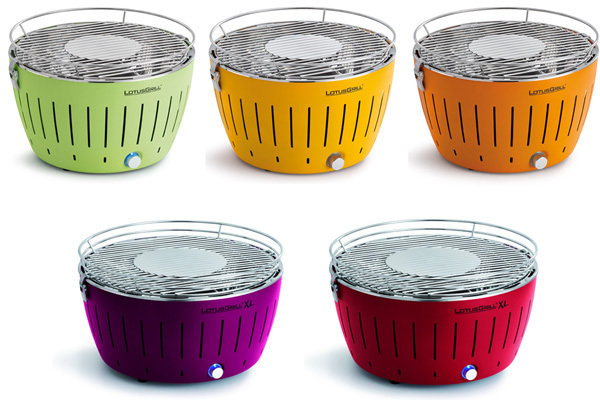 The LotusGrill is fantastic for cooking up a scrummy meal; it’s extremely easy to use and cooks your food to perfection (plus with one of these bad boys you won’t get the intoxicating smell of charred smoke ruining your evening!). Thanks to the LotusGrill’s lightweight properties they are perfect for taking to the beach, camping or on a woodland picnic! What better way to kit out your BBQ party than with APK My Deli accessories! 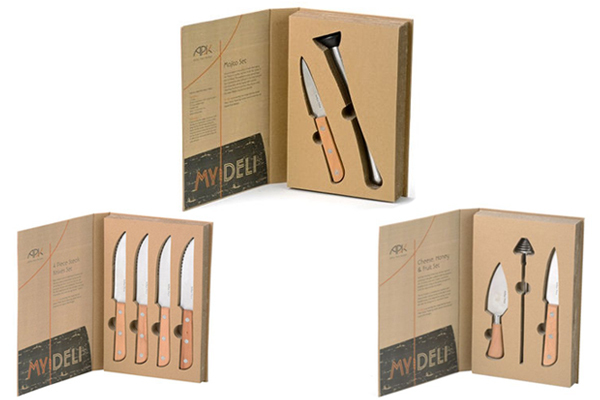 If you are like me and love your local deli; the smell of fresh food, items wrapped in stunning packaging, and the overall rustic feel of independently produced products, then you will simply adore the APK My Deli range. The range includes stunning cheese knives, mojito sets, and steak knives; perfect for all of your BBQ needs! Each set has been presented in a beautifully printed recycled gift box (so they also make a great present for someone special too!). We all cook way too much food when it comes to family BBQ’s, we end up with bowls almost full of potato salad or remaining pieces of cured meat, all too tasty to just throw away. 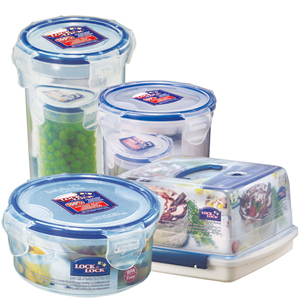 Lock and Lock containers are perfect for helping keep food fresh and tasty thanks to their superb airtight sealable lids. 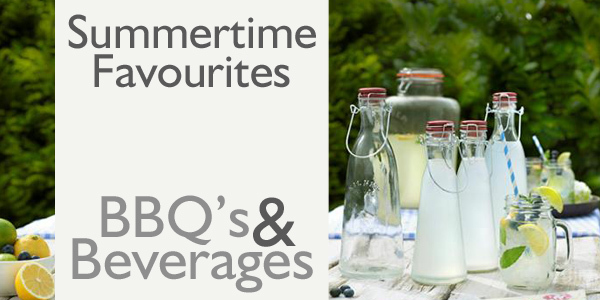 No BBQ is complete without a sneaky bit of tipple! Indulge in sweet nectars and refreshing beers with the Dartington glass range. Sip your mature martinis and fruity cocktails from a Dartington Martini glass, made from ultra-stylish lead free crystal, perfect for all occasions. Pour your perfect pint in one of the Essentials Beer glasses, these glasses have been given a sturdy stem to help prevent your beverage from getting too hot, and have been shaped with a narrow neck to help maintain your beer or lager’s fluffy white top. If you are a ‘go with the flow’ kind of person, and don’t really have a go to, must have drink, then the Dartington Essentials tumblers will do just the job! 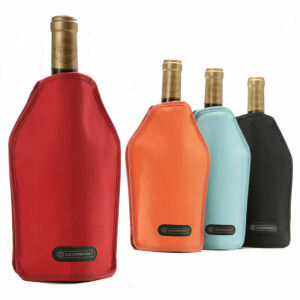 The tumblers are perfect for all kinds of spirits, soft drinks, whisky’s and wines. 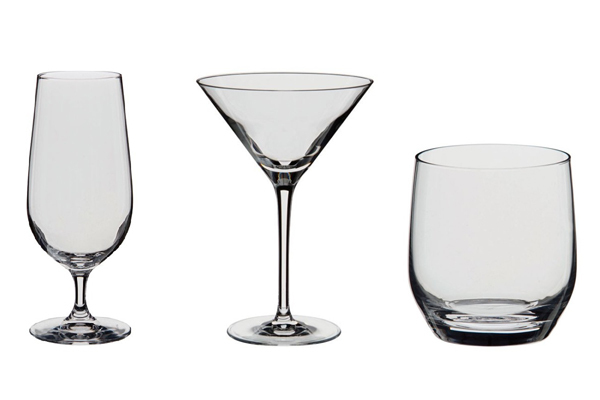 The Dartington range also includes many more specifically designed glasses, such as champagne flutes, shot, port and brandy glasses. 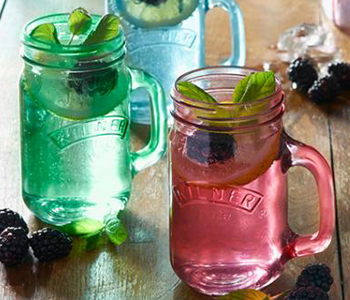 Add a dash of colour and a sprinkle of fun to your BBQ with Kilner’s colourful accessories. Give your cocktails a rustic retro twist with these colourful Kilner handled jars, featuring the beautifully embossed Kilner logo and comfortable grip handle (plus they can be fitted with tailored lids too!) they are sure to be the talk of the party. What tastes better than your own homemade produce? Probably very little! Keep all of your homemade elderflower cordials, citrus infused oils and scrumptious salad dressings in a Kilner clip top bottle. 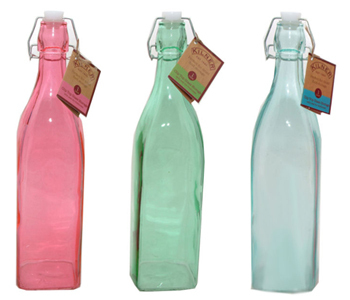 These bottles are excellent for helping to keep your concoctions sweet and succulent thanks to their air tight properties. Who needs mayo or tomato sauce when you can use your own homemade chutneys? The Kilner clip top jars are brilliant for keeping your chutneys, pickled, dry foods and tea bags fresh and flavoursome thanks to their fantastic air tight lids. Nobody likes overheated wine or boiling hot cordial, so why ruin a perfectly good bottle of fruity bliss when you can keep it nice and chilled and ready to serve with Le Creuset’s Cooler Sleeves. These jazzy colours will add a bit of fun to any dinner table. Do you enjoy a glass of wine that is full to the brim with flavour? 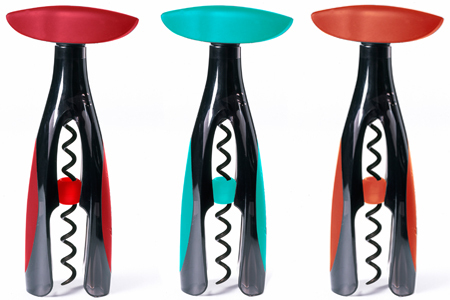 Then why not give the Le Creuset Vitesse Aerating Wine Fountain a go! 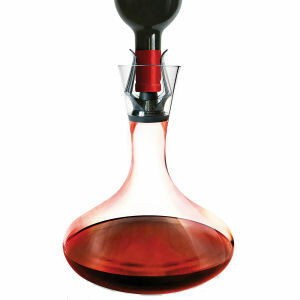 This beautifully designed wine aeration device and fountain allows air to slowly circulate the decanter reducing the wine’s breathing time, so that the flavour is enhanced to its fullest potential. There is nothing worse than getting home, you’re just about ready to open your bottle of tipple to sip whilst prepping the veggies, to realise that you can’t get into the bottle because you’ve misplaced your bottle opener! With the Le Creuset Activ-Ball Table Model Corkscrew you can easily pop open a bottle of fizz with a simple twist (no pulling required!) and voila! For More “home brew-spiration” check out our home brew blog – Start A New Home Brew Hobby Today! Arthur Price My Deli Collection, BBQ, Beverages, Dartington Crystal, Deli, Garden, Jars, Kilner, Lock and Lock, LotusGrill, summer, Wine. Bookmark.